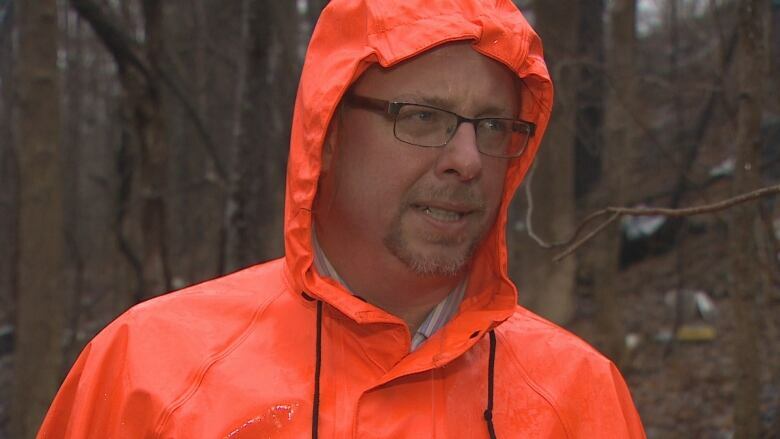 Kirk Symonds says municipalities across Nova Scotia spend around $50,000 to clean up illegal dumpsites. 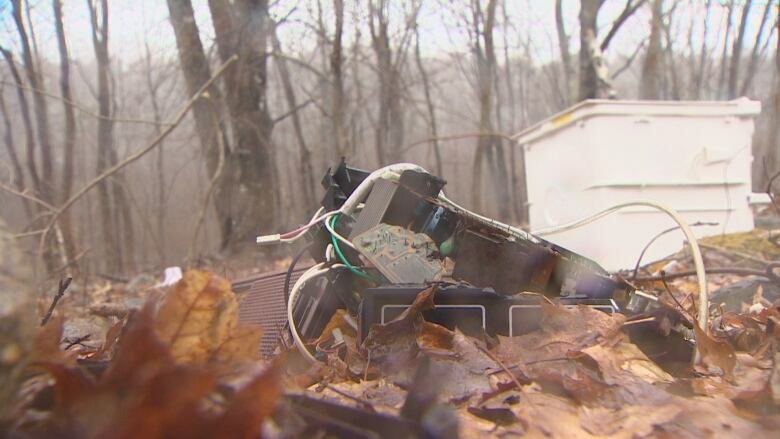 He's using hidden cameras in the woods to catch people illegally dumping trash. Down the side of steep ravine just outside Bridgewater, N.S., in the community of Hebbville lies about a tonne of old asphalt shingles. 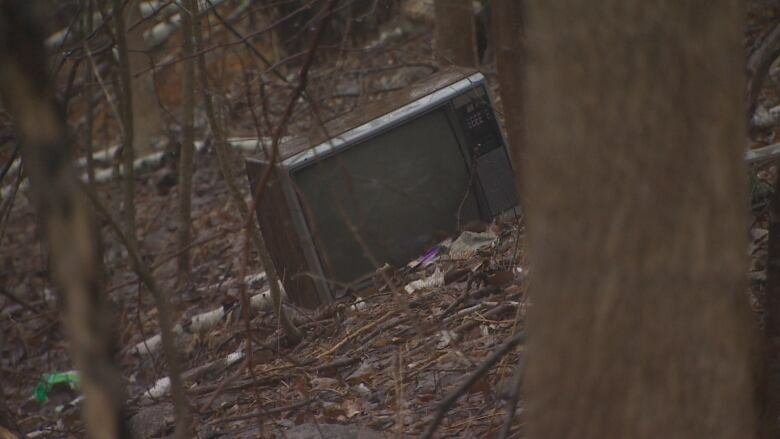 Kirk Symonds, a self-described "trash talker," says he knows exactly who dumped it here — and when. "There is no question contractors are charging people for disposal of shingles and then just dumping them here." Symonds's official title is the regional educator for the Region Six Solid Waste Management. The region includes West Hants, Lunenburg, Queens and Shelburne counties. 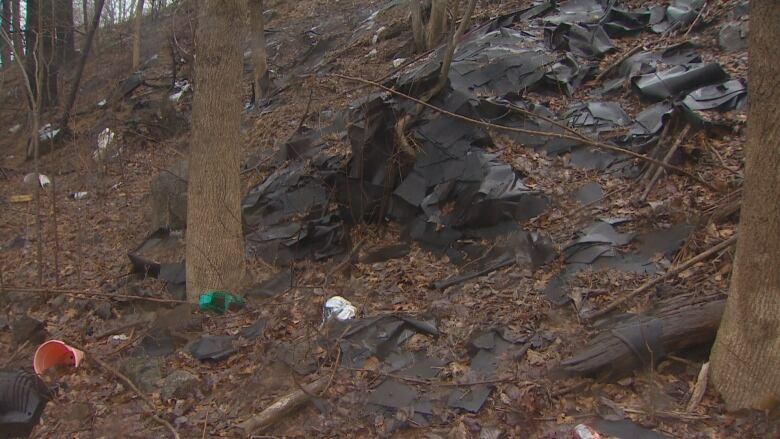 He says the man who dumped the shingles was easily tracked down thanks to surveillance cameras hidden in the woods. "So we're actually catching people when they dump." Symonds has spent the past 15 years focusing on education, raising public awareness about the opportunities that exist along the South Shore to reduce waste. 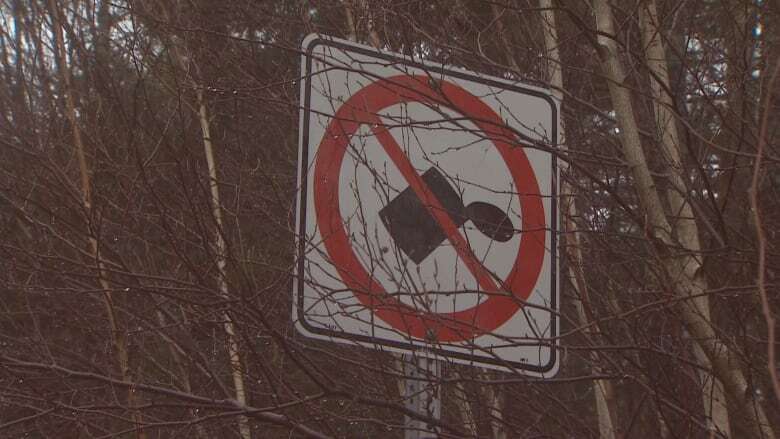 But even he wonders whether any amount of public awareness will convince illegal dumpers to abandon the practice. "Education will only go so far and then we have to charge the people who are dumping the shingles behind us," Symonds says. It's not just shingles strewn down this ravine. The entire area is littered with bags of household trash, old propane tanks, dishwashers, tires and electronics. All of it was out of sight under the winter snow. Now with the snow nearly gone, there's a staggering amount of mess. "We find needles all the time and that is absolutely terrifying," Symonds says. Eventually, it all has to be cleaned up and it is up to each municipality to take care of the problem. 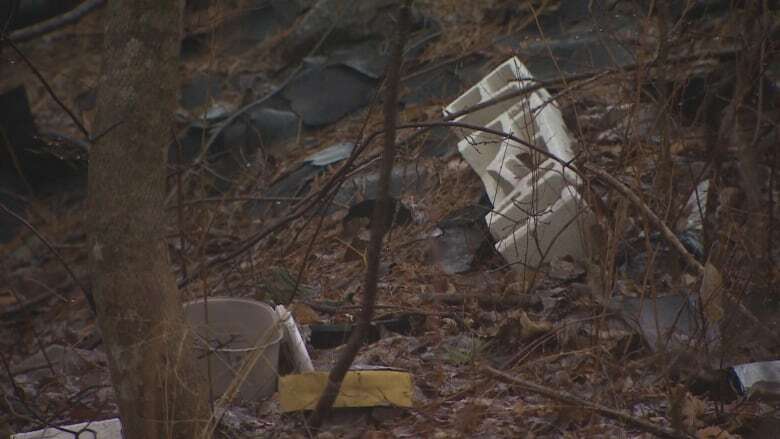 Nova Scotia municipalities spend about $50,000 a year to have sites like this cleared of garbage. It may be easy to see why disreputable contractors see illegal dumping as a way to save some money on tipping fees, but the question is: Why do homeowners with weekly garbage pickup bother? It's a question that confounds Symonds. "It's amazing that people will dump residential garbage illegally even though they can put their garbage out on the curb for free." But he's starting to get a better sense of the motives behind illegal dumping. Symonds has been working with Angela Taylor, a local bylaw compliance officer in Bridgewater, for the past 10 years. While he spends his time visiting schools and work sites to talk up the three "Rs" — recycle, reduce, reuse — Taylor gets her hands dirty. She's the one who rips open the garbage bags at sites like this, looking for clues about who dumped it. In fact, it was Taylor who caught the roofer who dumped shingles down the ravine in Hebbville. "I have that road under (camera) surveillance because it's so active," she says. "I was able to catch the person and I issued two summary offence tickets at $1,272 apiece." At first, offenders will deny any knowledge of illegal dumping, but after they see the pictures, they're more co-operative, she says. Together, Taylor and Symonds have developed an almost-forensic profile of the typical illegal dumper. They say it's most often renters who, for one reason or another, want to get rid of their unwanted stuff in a hurry. In fact, they're in such a hurry, they don't consider the evidence they're leaving behind or the fact that someone like Taylor is ripping open the bags to take a look. And it doesn't take much looking to find a name. But what's interesting is the pattern that emerges. The culprit's name is usually spotted on one of four items. 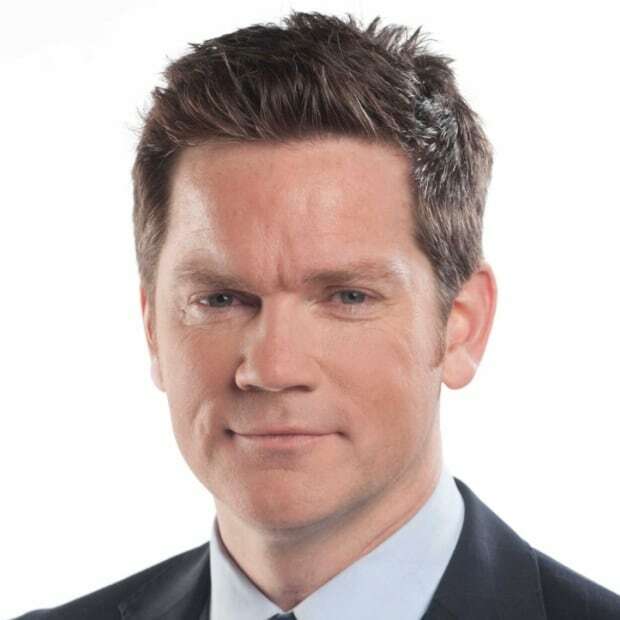 "Pill bottles, eviction notices, pawnshop receipts and court proceedings," Symonds says. Taylor says about 85 per cent of the people she tickets for illegal dumping are young men, or couples. She's willing to give offenders the benefit of the doubt when it comes to their motives. "It's not that they don't care," she says. "It's just that they don't know ... when the collection day is or they don't know that they get a bulky cleanup [for large waste items]." Symonds says education typically doesn't work for people who aren't fussy about following rules. "They need to get rid of waste and so they dump it." And in his 15 years on the job, he says he's found no evidence to suggest people are dumping illegally because of new clear bag requirements or increased fees at landfill.